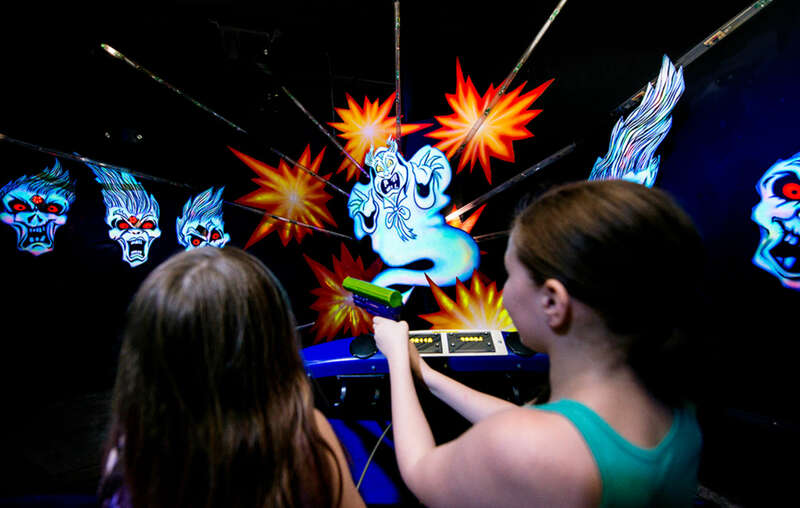 The family dark ride “Ghost Hunt” at Lake Compounce was upgraded to provide a better interactive experience for both visitors and the park management team while keeping the story alive. 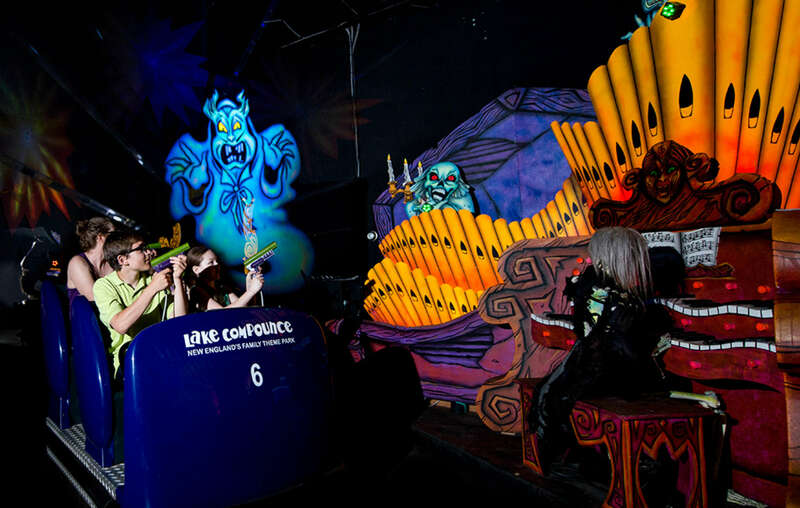 Lagotronics Projects provided a new interactive system for the ride. Lake Compounce in Bristol (Connecticut, USA) is the oldest, continuously-operating amusement park in North America. The park has invested in rides and attractions during the recent years, and today it’s more beautiful than ever. 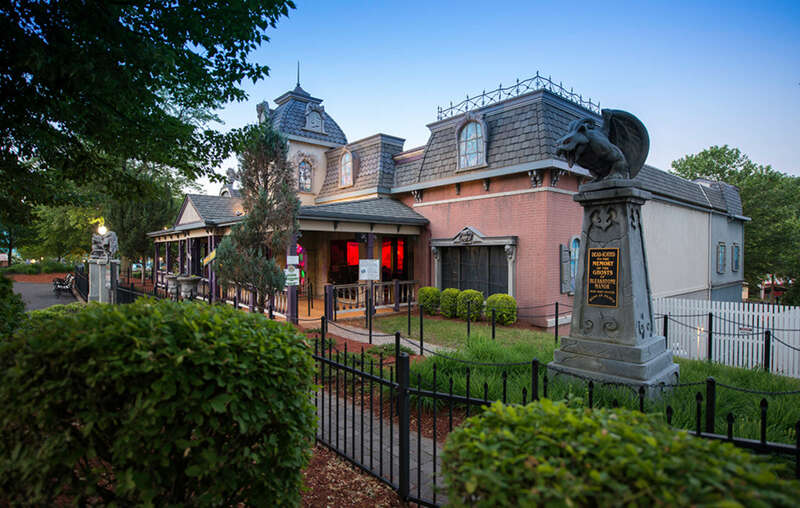 The dark ride Ghost Hunt, situated in a haunted house, is an entertaining experience for the entire family! In 2016 Lake Compounce got in touch with Adam Sandy from Ride Entertainment to discuss the possibilities of an upgrade. 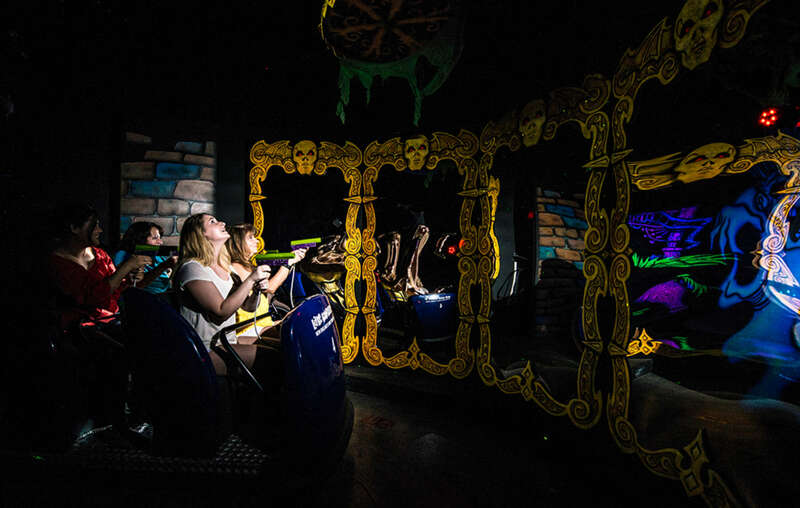 The interactive system in the ride had become outdated and required a lot of maintenance. 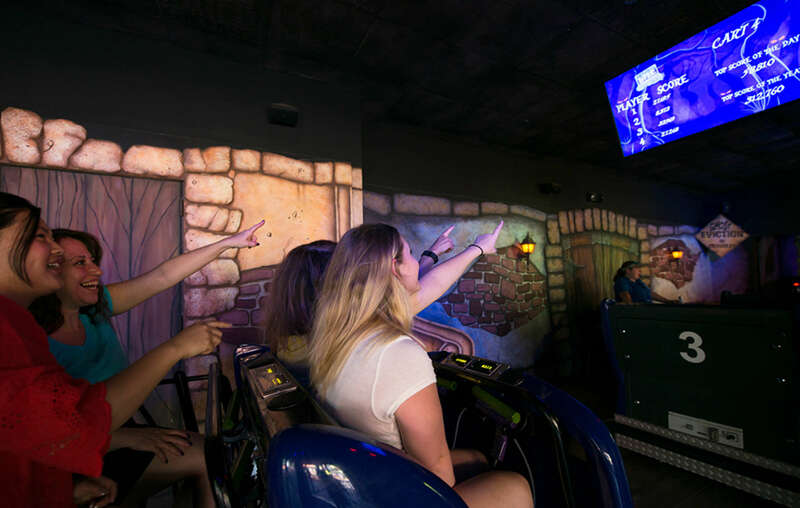 It required a whole new, contemporary interactive system but the ride’s theme and story was not altered. In addition, they were looking for a reliable partner that could provide long-term support. That’s why Lagotronics Projects was introduced into the project. The new shooters use LED’s and feature no mechanical wear parts. Combined with new speakers and personal scoring displays in the vehicles the ride is up to date again. 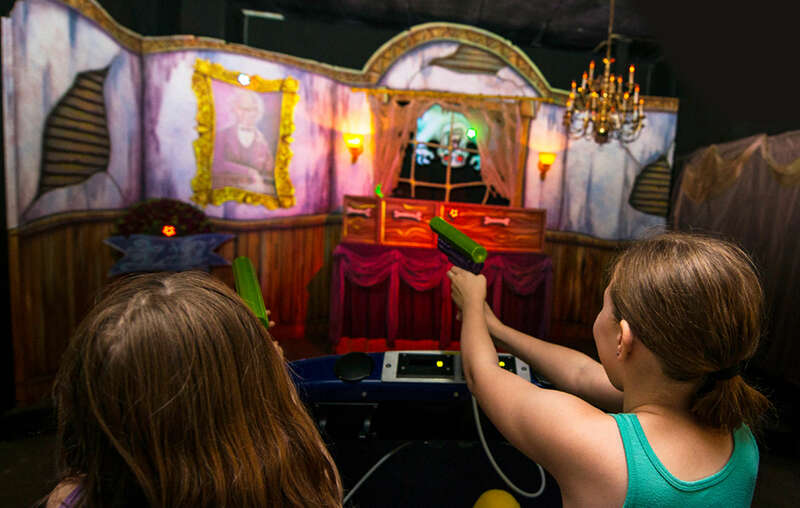 The interactive devices also offer increased accuracy, a larger shooting range and audio feedback when fired in order to increase the enjoyment of those brave enough to collect ghouls for points. 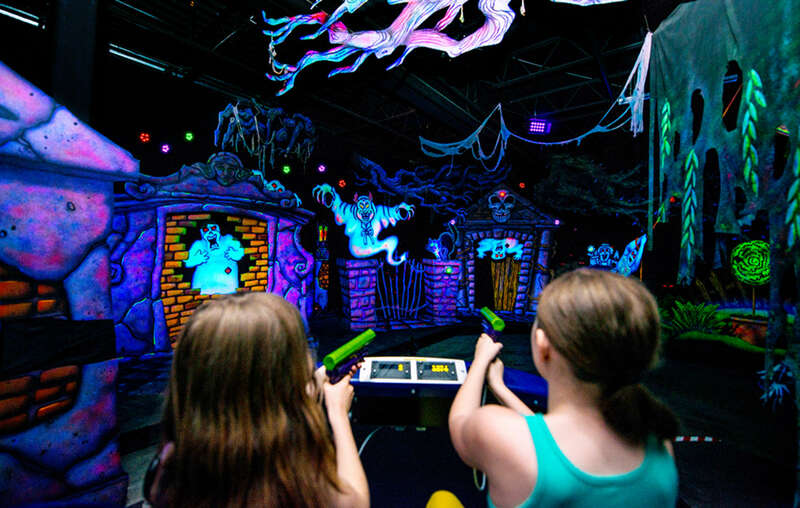 All targets and IR sensors on the ride were replaced and the system was incorporated in the scenery. At the end of the ride, a new large scoreboard was installed, which shows the individual visitor scores, the high score of the day, week, month or the best of the season. Last but not least the show control system was replaced in order to bring maintenance to an absolute minimum. 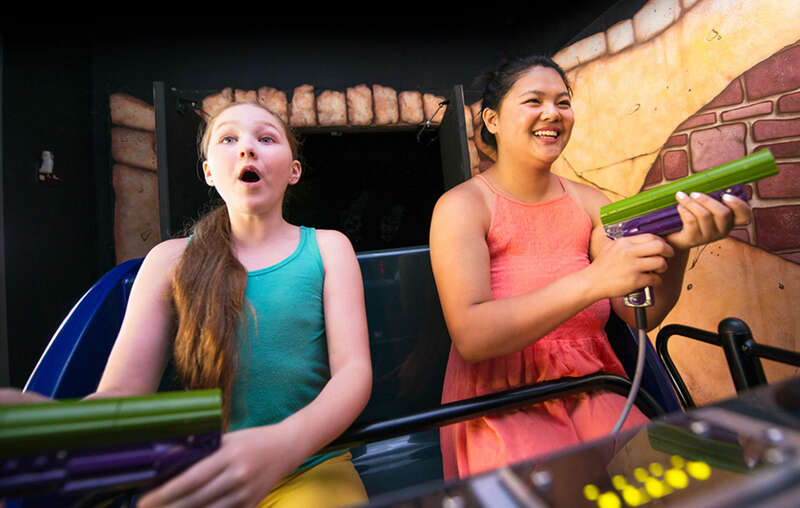 This offers great possibilities for the park team because they can change the ride’s scoring difficulty and target interactions based upon guest feedback. 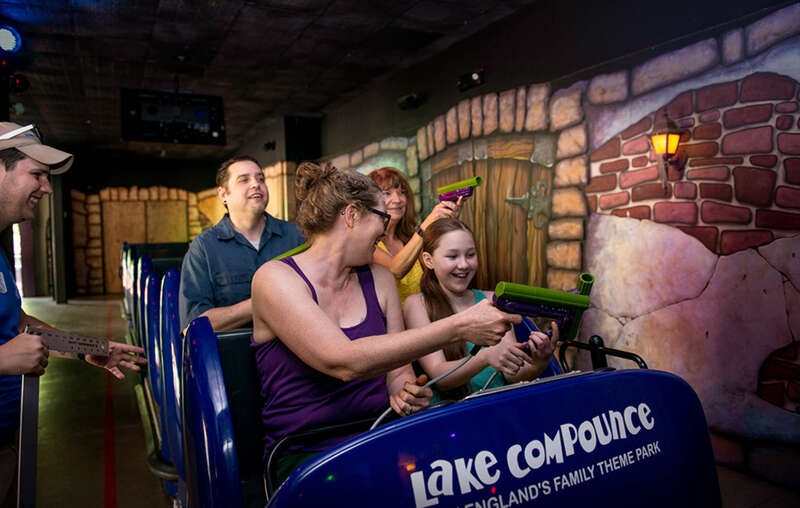 The software is able to trigger numerous events when a target is hit and can be changed very easy, enabling Lake Compounce to connect with their guests in Social Media, respond to their comments, and interact with the fans. The technology allows us to utilize software that offers parks interactivity which wasn’t available ten years ago. The system not only offers reliability for park owners, but the storytelling technology that we provide is different than other companies. 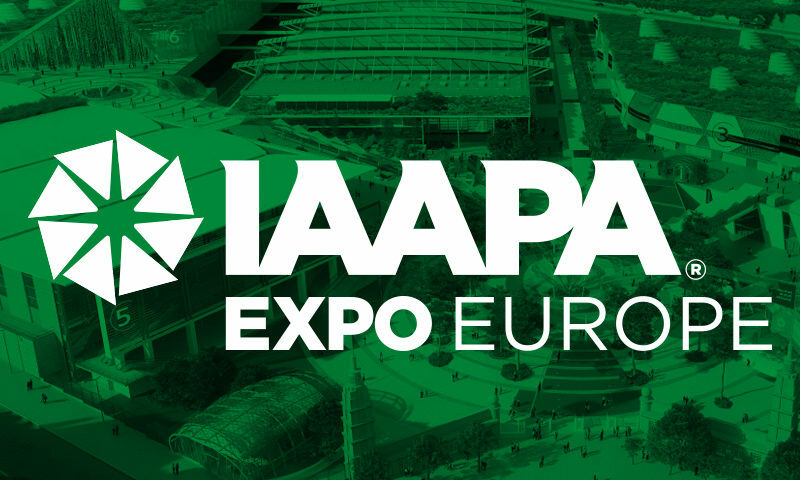 With our ability to change scoring difficulty, output results to social media and integrate our technology into existing attractions we feel that we are offering a guest experience unlike anyone else in the attractions industry. In short: the new equipment tremendously increases uptime and guest (and park) enjoyment of the existing attraction and storyline! 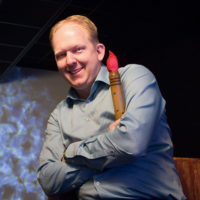 “Since our first meeting with Lagotronics Projects on the Ghost Hunt project, we knew that we were working with a ‘first class’ company and that the guns and targeting system on the ride would be a huge hit with our guests. The quality, craftsmanship and dedication from Lagotronics Projects was of the highest standard and we are sure our guests will notice right away,” said Jerry Brick, the park’s general manager. Don't hesitate to give us a call or send an email. 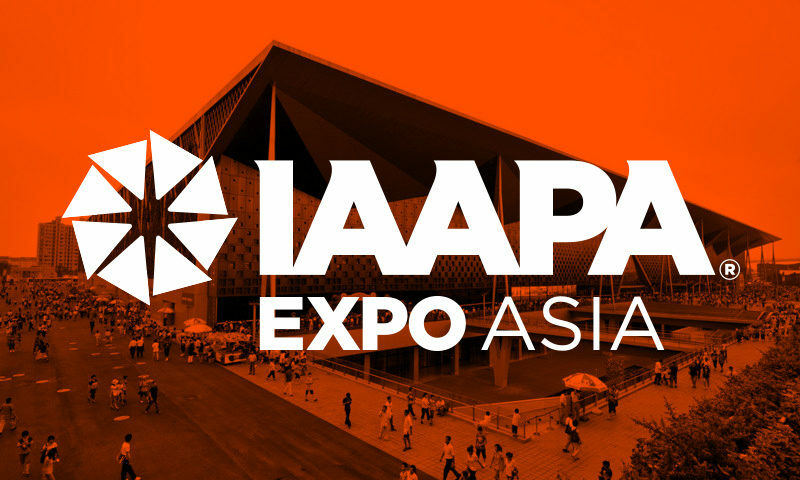 We're happy to talk about your ideas or next project!